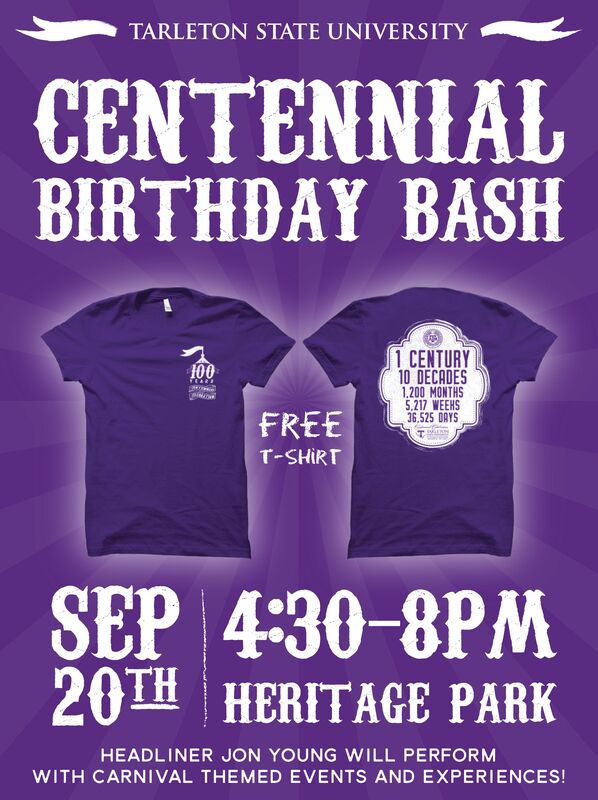 2017 was the Centennial Celebration of Tarleton State University being in the Texas A&M system. During this time I was given the opportunity to sit on the Centennial Committee and assist coordinating all the event that took place during this time. One task I was given was to plan and execute a Carnival themed Birthday Celebration in honor of Tarleton being in the Texas A&M system for 100 years, and to incorporate both Tarleton students, faculty and staff as well as the Stephenville community. .
© 2019 • All content within this entry is strictly the property of Taylor Foster, and is not for public use without permission.